March 30, 2018 By Tina M Leave a Comment This post may contain affiliate links. Read my disclosure policy here. When I’m on vacation, I always do some research on what I should eat when I get there. Vacation is when all my dietary restrictions are on hold, so it’s fun to find out what the locals and tourists are raving about. 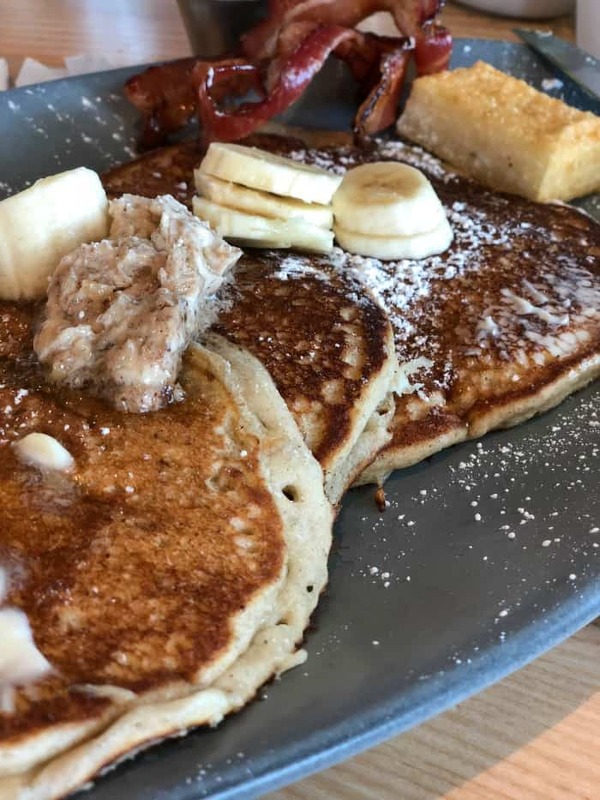 We recently took a trip to Key West and the Florida Keys, and had some wonderful things, so I wanted to give you guys a little guide on what to eat in Key West and the Florida Keys. Hope you enjoy! Let’s start with the lower keys. 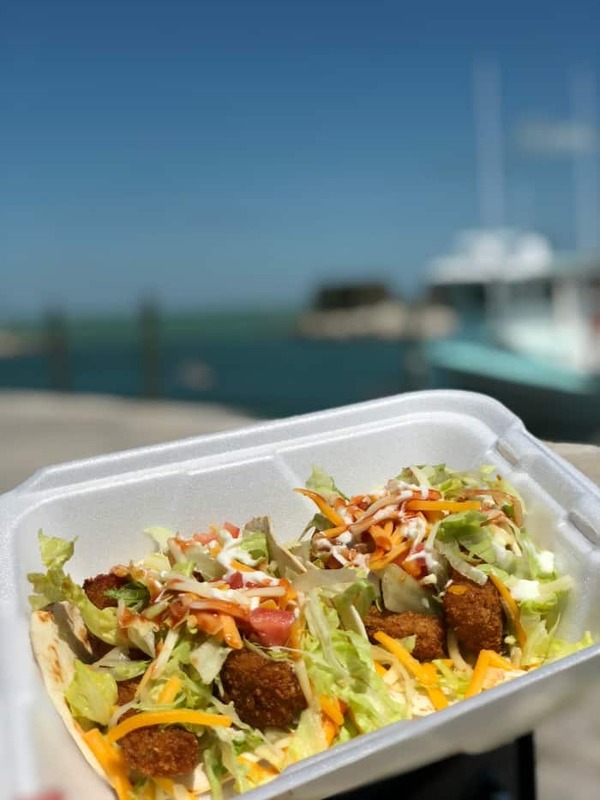 Even if you came here strictly for recommendations on what to eat in Key West, you have to pass through the lower keys to get there, and you might get hungry along the way. 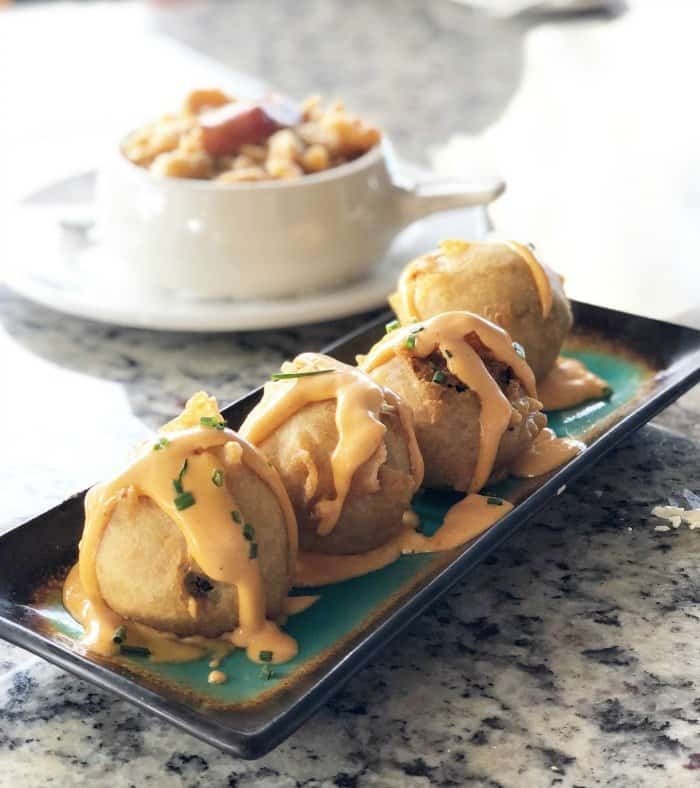 Okay, it’s kind of funny to be that this appetizer is what has remained in my memory, but these cuban rice balls were seriously so so good! We also got the lobster Mac and Cheese (pictured behind the rice balls) which I thought was just okay, but those rice balls were a favorite for everyone at the table. We also really enjoyed our steaks (What they seem to be known for when I looked on Trip Advisor). The view is awesome, and this place is popular so you might want to make a reservation if you’re going during a busy time. Try to be seated before 6 so you can get the early bird special (entrees are $19.99). Located in Marathon. If you really want to get a taste of Key West, you might consider a Key West Food Tour. See a list of Food Tours Here. This seemed like kind of a tourist thing, but it really is good! I wasn’t sure if I was going to like it because it looked like it was ice cream, but it really is pie on the inside! 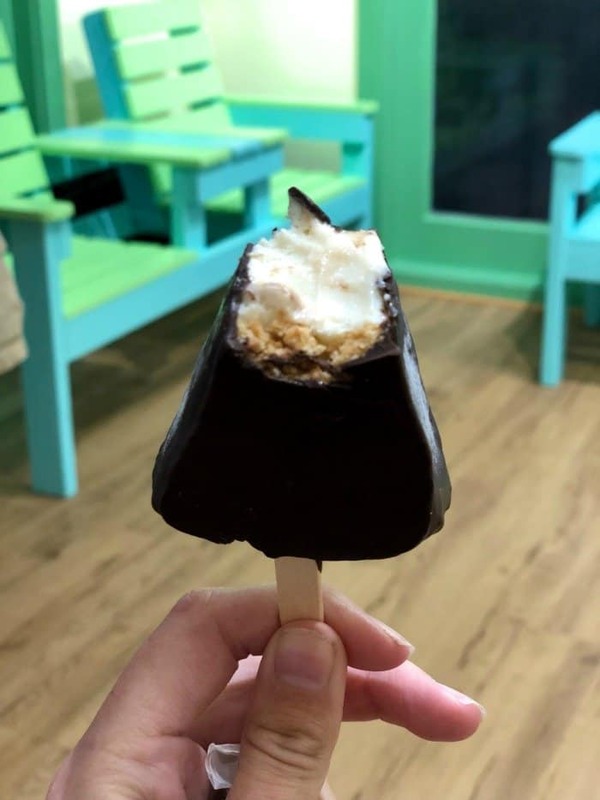 While we were on a boat tour in Key West (with Fury Water Adventures), the captain was giving some really awesome suggestions on what to eat in Key West. I asked them to email their best recommendations so that you all could benefit from his recommendations. Here they are! Located right in the Historic Seaport. Fresh Seafood with a really cool atmosphere to enjoy the ocean breeze and music. May favorite here is the Cracked Conch served with an Orange Marmalade dipping sauce. You will spot this restaurant strolling down Lazy Way Lane in the Historic Seaport. Known for their dishes as being a “throwback” to Old Key West, they serve the freshest seafood. Literally from dock to plate. The front counter girl Eko always greets you with a smile and makes the best Con Leche on the island. Their Lobster Enchilau Tacos are everything and were actually featured on the Cooking Channel. Order these with a side of Mac N’ Cheese and you’re golden! Located just off Duval Street. this is a great breakfast spot. It’s a funky diner that has so much character – not to mention, just good ol’ fashioned breakfast. They have the fluffiest pancakes. This little restaurant is located off the beaten path in New Tow Key West. It is a walk up window with a tall table and some stools outside on a covered patio. The owners are from the Midwest and that’s exactly what their entire menu tastes like. If you like flavor packed food – this is the place to go. Their beer candied bacon is a must and they make different desserts every day. My favorites are Red Velvet Crispy Treats & Homemade Twix Bars. 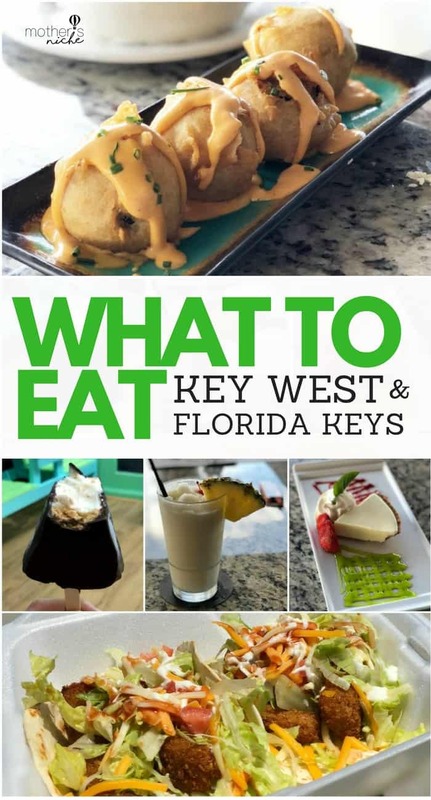 We hope this gives you some good ideas on what to Eat in Key West, and most of all, have a great trip!